His photos are as flawless as Queen Bey herself! Awol Erizku shot to fame overnight once fans figured out he photographed Beyoncé’s stunning pregnancy-reveal pics. The “Formation” singer, 35, announced she’s expecting twins with her husband, Jay Z, and used a snap of herself cradling her bare baby bump to break the news on Wednesday, February 1. She later posted several more nearly naked pics to her website on Thursday. And while she didn’t credit the photographer, Art News soon confirmed that it was Erizku’s work. 1. He was born in Ethiopia. Although he was born in east Africa, Erizku was raised in NYC’s South Bronx neighborhood (and went to high school with A$AP Ferg). Vulture reports that he used to have a New York studio in the basement of a flower shop in NoHo, but now he’s L.A.-based. According to The Fader, he has a workspace in downtown Los Angeles. 2. He’s a Yale graduate. He first started studying photography at NYC’s Cooper Union, where he received his bachelor of fine arts in 2010. 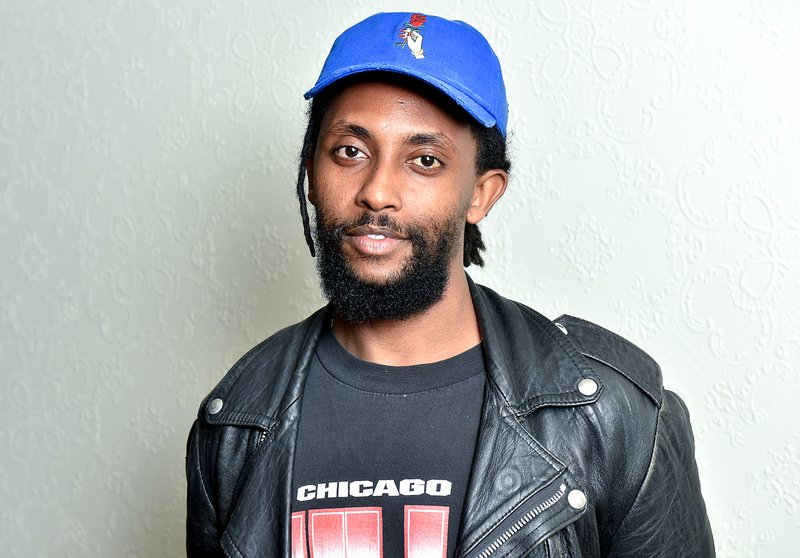 Erizku went on to work for high-profile photographers such as David LaChapelle and Lorna Simpson, and in 2014, he graduated from Yale University with a master of fine arts, according to Vulture. 3. He uses his Instagram account like a real-life gallery. 4. He’s also a well-known artist and sculptor. In addition to his photography, he’s famous for his other art too. Erizku’s signature piece is a black hand holding a red rose, and he recently exhibited several versions of it at the Nina Johnson Gallery in Miami. Another recognizable piece: the red car that Beyoncé posed on top of in one of her recent pregnancy pics. It’s called "Ask the Dust," a sculpture he created in collaboration with florist Sarah Lineberger. 5. He photographed Bey and Jay in Paris in 2014. Erizku shot photos of the couple during their trip to the Louvre museum. He posted an outtake from the shoot on his Instagram at the time, of the pop superstar and the hip-hop mogul standing in front of the Mona Lisa, which had been replaced with his own painting, Girl With the Bamboo Earring.